Open at 5 every morning, Eddie's Southtown Donuts on Kingshighway dispenses their fresh, deep-fried dough till lunchtime. 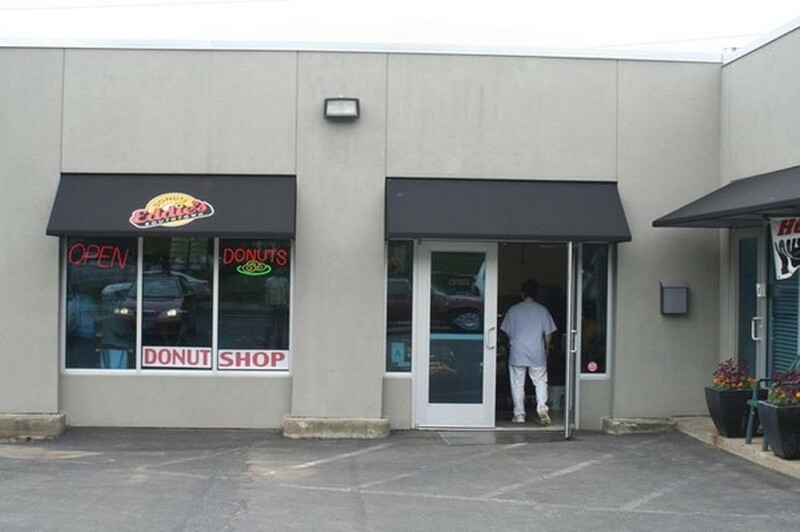 They offer up classic choices including glazed, iced, sugar and cake donuts, and long johns, too, even over-size ones if you call ahead. You can get your donuts fruit-filled, custard or crème too, or you can try one of Eddie's cheese pockets. They've got apple fritters and lightly glazed cinnamon twists and rolls to boot. Eddie's offers parking in a small lot next to their small shop where the big, sweet smell of hot morning pastries leads you to the door where they'll sell you coffee and a donut or a box filled with their light, fluffy treats. Extra Info: Doughnuts and pastries only.